4. Return the onions, garlic and bay leaf to the pot. 5. Pour the broth (or water) over the mixture and bring it to a boil. Turn the heat down to simmer. Cover and cook for 1 ½ hours. 7. In a small bowl, mix the spices. Stir the spice mixture into the meat. 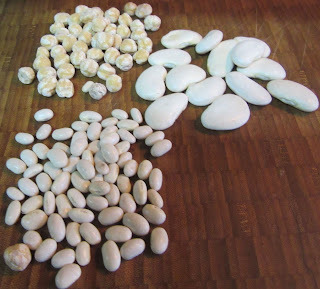 Add the drained chickpeas. 8. Pull the cabbage apart leaf by leaf. Lay the whole leaves on top so that they cover the chickpeas/meat mixture. Cover the bot and bake for 1 hours. 9. 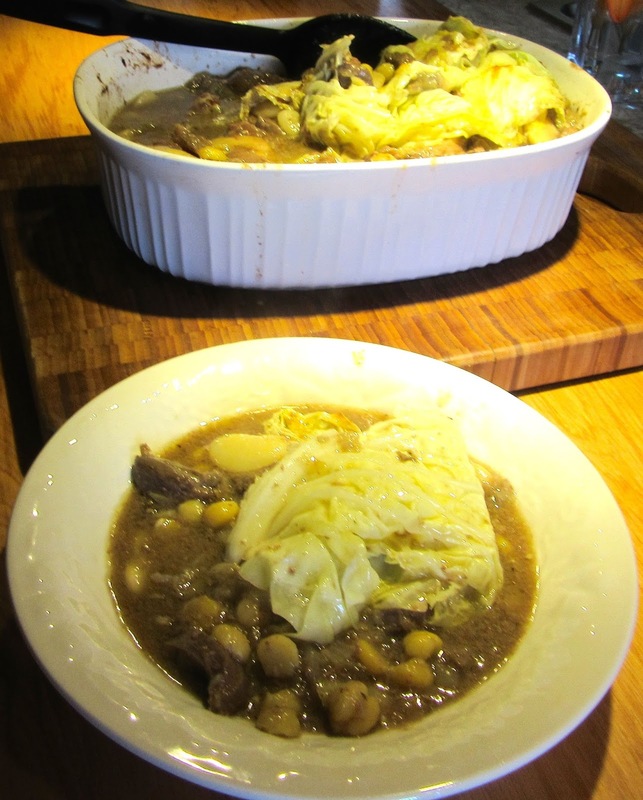 To serve, ladle the stew carefully on plates or onto bowls so that the cabbage covering remains intact. Discard the bay leaf when serving. Ossobuco was used. The bones were included in the dish until serving for the flavor. One half cup dried chickpeas were used and for a variation ½ c of dried broad beans were added. These were soaked overnight prior to use. The result was delicious!